Her voice a tired whisper that combined with the look of frailty covering her face and almost made her seem sick. She was like this most nights. We would talk about our days – work drama, school drama. She came home late a lot and we could only talk for maybe 15 minutes before we both were ready for bed, but we both knew the conversation could continue for hours if we were given the opportunity. While we sat next to each other she would rub my forearm, her fingertips barely brushing my skin, making me sleepier with every stroke. Just before our heavy eyelids overpowered us, Mom would sit up. “C’mon” she’d say with an awkward flick of her wrist, placing her hand gently on my back, in between my shoulder blades and leading me up to bed. In the morning, once she was woken up by my alarm clock, she would come in and wake me up – I’d always been a heavy sleeper – messy bun hanging halfway off her head, dark hairs flying from her scalp. I would hug her around the waist, feeling her old mismatched pajamas that were well worn into unbelievable softness. We’d walk downstairs together, her hand on my back. Across the entryway from the living room, there was a room with a baby grand piano. Once we reached the last step I would run to the piano, bare feet padding on the hard floor. Her eyes followed, watching every step I took. I would sit at the piano, playing simple practice melodies that Mom and I had both memorized. From a young age, she’d taught me how to play. As she sat down on the bench next to me, she would let out a sigh of aching muscles. “Hot cross buns -” she would sing softly. Her light whispery voice gave me an oddly comforting warm feeling in the pit of my stomach. E, D, C – notes played in response, echoing through the room. “One-a-penny -” as she leaned and pressed her shoulder against mine. D, D, D, D – played in a way that would’ve gotten annoying had it gone on much longer. Her melodic voice and sweet smirk would bring the song to an end with a final “Hot cross buns.” Every day, every night was the same – honestly, I couldn’t have cared less – I liked our little routines. Mom had always been amazing at the piano, or at least I always thought she was. Her favorite piece had always been Beethoven’s “Fur Elise -” even if you don’t recognize the title, I’m sure you’ve heard it. It always had this quality to it that could bring a glow to her cheeks and a pleasant grin to her lips. I had never been able to play it for her, but she was my mom, so even those simple practice melodies brought on the glow. Even when we parted ways I was not able to play her favorite song. We were 10 minutes from home coming back from a New Year’s party when a man with beer on his breath rammed and rolled our car down the side of a hill. It happened so fast, but when I think about it the memory seems to play in slow motion – feeling my weight shift as the car started to tip, the metal and glass crunching and screeching as the top of the car hit the street. As the car rolled, it almost felt like we were in free fall; completely out of control, moving wherever the car jerked us. When we got to the hospital, Mom was in bad shape, the other driver was practically unharmed. She spent hours in the emergency room – I spent mere minutes. As I sat and waited for her I remembered all our late night talks, early morning piano sessions, the strong woman Mom was. I noticed a tall man walk up. He had a cut on his cheek, a butterfly closure over it, and his forearm was bandaged. He rubbed his forehead with his callused hand. His elbows rested on his knees, hands clasped together at his mouth. Tears ran down his cheeks, then his fingers, falling into the dry cracks of his skin. I could hear the whimpers he held behind pursed lips. As he blinked away a single tear onto his dirty jeans, I realized who he was – he had been there, but had never helped. I’d seen him when they were loading us into the ambulance. He had gotten out of the other car. His rough fingers in his hair, he kneeled down and was mumbling something to himself – I couldn’t hear his voice, but judging by how his hands wove together, I like to think it was a prayer. There we sat, a mere 2 feet separating us, and he didn’t even realize I was there. He let out a sigh; the pungent smell nearly made me gag. I felt like I should say something to the man, but couldn’t bring myself to speak. The hospital was bustling, everyone moving a mile a minute, but it seemed quiet, like the man and I were in our own little slow motion world. The only thing cutting the silence was the sound of his muffled whimpers. 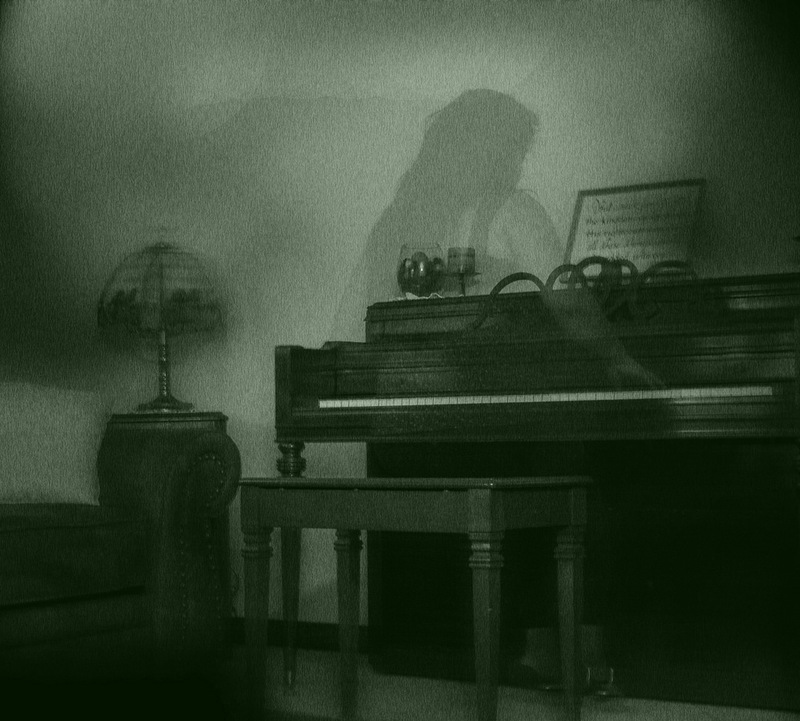 While I sit alone in the big house, the sound of the piano still lingers through the halls so drained of life. For a long time, it was simple practice melodies. I’ve been practicing; while Mom is at work, or the therapy sessions that took up so much of her time. The guilt and thoughts of that day left Mom more scarred than the glass of our shattered windshield. She’d never been a religious woman, but I watch her get on her knees night and day and pray that her baby girl is happy. It’s been just over a year since the night I died, six minutes after entering the emergency room, when the life Mom and I built together crumbled to pieces. When the life passed from my veins. When I left my body and watched over Mom’s for the first time. Today is April 10th, Mom’s birthday. She sits on the couch with a glass of wine, fog forming at the bottom of the stem from the warmth of her skin. The therapy had helped with the drinking problem she’d developed after that New Year’s – horribly ironic considering the events of the night. I come and sit next to mom. I saw her every day, but was still surprised by how much she’d aged in just a year. The wear and tear of burying her only child had left the lively woman I once knew a gray, hollow shell. I lean on the back of the couch, taking in every detail of her face – the gray hairs that started to cover her roots, the crow’s feet that formed from a year of tears. I reached out and touched her exposed forearm, moving my hand back and forth. My fingertips barely brushed her skin, and it had the opposite effect. She was alert, looking around frantically only to see the seemingly empty house that surrounded her. I took off my sneakers, my mismatched socks, ran to the piano – bare feet padding on the hard floor. Mom looked up again; her eyes had started to well up, tears barely holding onto the lines above her trembling lashes – cheeks turning red, her lips shaking. She scanned the room repeatedly, but saw nothing, and the tears ran down her tight cheeks. She turned away and wiped the tears still settled on her eyelid with her thumb. She held the cold wine glass to her forehead, took a deep breath, shut her eyelids. I sat at the piano, rested my invisible fingers on the keys. You would think I wouldn’t be able to play the piano anymore, given the circumstance. But that wasn’t the case; it had actually become easier to play. Mom lifted her head from her glass, her eyes snapped back as she stood up – they were still, locked in place, and it had almost been like the sudden movement of her eyes had jerked her head with them. The house was silent. I could hear her hesitant steps creak on the floorboards, her sniffles, gasps and sighs. She entered the piano room and flicked up the light switch. She stood behind the bench, watching as the keys moved up and down, controlled by the fingertips that stroked her arm only moments earlier. She fell to her knees, inhaling like she would never get the chance again. She tried to form words, but her lips were numbed by the hot tears soaking her face in trails from cheekbone to jaw. She stood upright; you could almost see the tightness of her chest, feel the intensity of the air. Her eyes moved back and forth frantically, looking for some explanation. She let out a sob of pain and shock, brought her arms to her chest and leaned forward. She had found her explanation. She ran her fingers through her hair, stopping halfway through. Her cries started to die down, but she still let out sporadic, pained laughs. She looked up at me, recognizing my presence, but still searching for me. She looked worried, scared; maybe because she thought I was gone, or had never been there in the first place. Mom put her hands up, feeling for something she couldn’t see, like walking through a dark room. Just before she’d decided it was too good to be true, an idea popped into her mind – you could see it in her eyes. She brought her hand back, moving a fallen piece of hair behind her ear. “Hot…cross…buns -” she barely sang, choking on every word, every memory of us. I reach back to the piano; play the notes E, D, C in response. Her head dropped to the bench in front on her. She covered her mouth, trying to muffle her sobs. She lifted her head. The shining red of her bloodshot eyes made her blue eyes intense and bright. Tears settled in her wrinkles. Her mouth had morphed into that odd post-cry look. The one we all know – upper lip curled up slightly on one side, bottom lip visibly numb. Her face slowly turned color. Behind the odd smirk trembling above her chin, the mascara that draped across her cheeks, her face glowed like it used to. Oddly enough, it was the most beautiful, the happiest I’d ever seen her, succumbing completely to emotion. In that moment she knew. She knew I would always be here, watching over her as she watched over me for the 13 before the world had taken that away from her. She knew, that’s what mattered, what I had always wanted her to know. She chewed her lower lip, looking down at the floor, rested her hand on her cheek now warmed by bittersweet tears. A pleasant smirk spread across her face. She shook her head slowly, letting one last tear fall to the floor.